The Most Complete Bible Study Tool! Explore the Five Books of Moses in Sound and Vision on one interactive cd-rom. Complete Hebrew text of the entire Torah (Five Books of Moses) & Haftarot with English translation, transliteration & commentary - Plus Interactive Bar/Bat Mitzvah trainer! This CD-ROM is based on the work of Rabbi Aryeh Kaplan and the Living Torah. View Original Hebrew Text of the 5 Books of Moses with side by side English Translation. View Original Hebrew Text of the 5 Books of Moses with side by side English Transliteration. Hebrew Text displays with or without Hebrew Vowels and Cantilation Marks. Contains all of the Haftarot with English Translation. 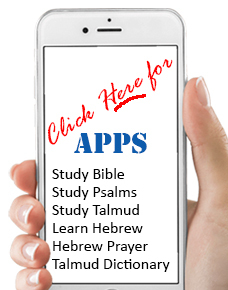 Teaches the Blessings read before and after the Torah and Haftorah. Teaches, through the voice of a professional Cantor, how to read every Torah Portion and Haftorah portion. An explanation and commentary on every Torah Portion (can be used to prepare a Bar/Bat Mitzvah speech). Calendar to Find the Torah/Haftorah Portion for any week. Bar/Bat Mitzvah Date Finder with corresponding weekly Portion. Word Search of the Bible. A Pictorial Reference to all People, Places, Plants, and Animals mentioned in the Bible.